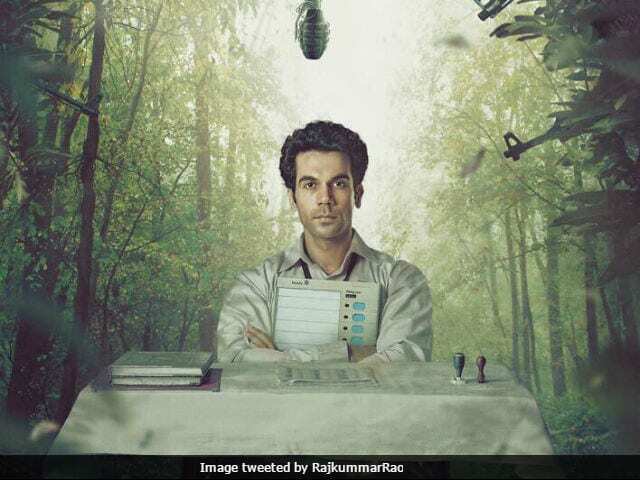 Newton movie review: Newton journeys to a terrain that Hindi cinema has seldom probed, tackles prickly issues in an impressive manner. The infectious verve of a stand-up comic meets the acerbic acuity of a political satirist in Newton, Amit V Masurkar's second directorial outing. This film is a gem whose sparkle isn't superficial. Its glow emanates from the depths of its insight. Newton journeys to a terrain - physical and thematic - that Hindi cinema has seldom probed and tackles prickly issues in an impressively even-toned manner. Call the humour what you will - outright black, slyly sardonic or out-and-out confrontational - the real eureka moments of this delectably free-flowing, brilliantly written and wonderfully well-acted film spring from its seemingly more innocuous tics, which articulate the dark truths that the powers-that-be and the Mumbai movie industry's 'status quo' cinema would rather not confront. The defining image that ends the film's opening sequence is that of a life-size cutout of a political leader swaying feebly in the wind. It is as unsteady as the hollow electoral promises that the pompous, complacent neta has just made at a small rally and paid the price for. This sets the stage for what is to follow - a tale that blows the lid off the deficiencies of Indian democracy, the world's largest, where voters are treated as mere numbers. They are stepping stones to power. They catapult cynical self-servers to the role of people's representatives who, more often than not, do anything but represent the people. Later on in the film, the screenplay (Masurkar and Mayank Tiwari) touches upon yet another important aspect of the lopsided power equations that are at play in far-flung parts of the country where indigenous ways of life and languages are under constant majoritarian threat. A teacher of tribal students rues that she has to instruct her Gondi wards with the help of Hindi textbooks that they can barely read. The disregard for India's many sub-cultures and diverse linguistic traditions is obviously a direct attack on those that don't have the numbers to rise in resistance. This of course isn't the central theme of Newton, but the very fact that it has seeped into the narrative as a significant, if oblique, strand is a minor miracle. Newton sweeps nothing under the carpet, but it does not revel in muck-raking either. Its jibes at India's electoral system, bureaucracy and law and order machinery are always cloaked in gentility but are never less than trenchant and to the point. It is highly entertaining and gloriously illuminating: a rare feat that anybody that loves intelligent cinema must vote for with his/her feet. 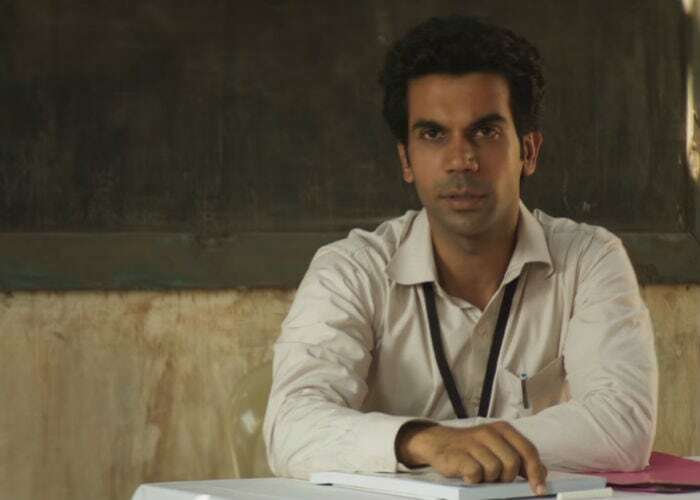 A newly recruited government officer Newton Kumar (Rajkummar Rao), who is earnest to a fault and has unwavering faith in the system, volunteers to lead a small poll team under army protection to a remote, violence-prone part of Chhattisgarh - Dandakaranya, "forest of the damned", to be precise. He steps into a breach created by the original presiding officer, who cries off at the eleventh hour citing medical reasons. We instantly know what Newton is getting into. He doesn't. He is just too focused on the job at hand to worry about the likely consequences. The booth in question, located in a Maoist-infested forest where elections haven't been held in years, is meant for only 76 tribal voters. For Newton, the paltry number is no deterrent, it is the process that matters. 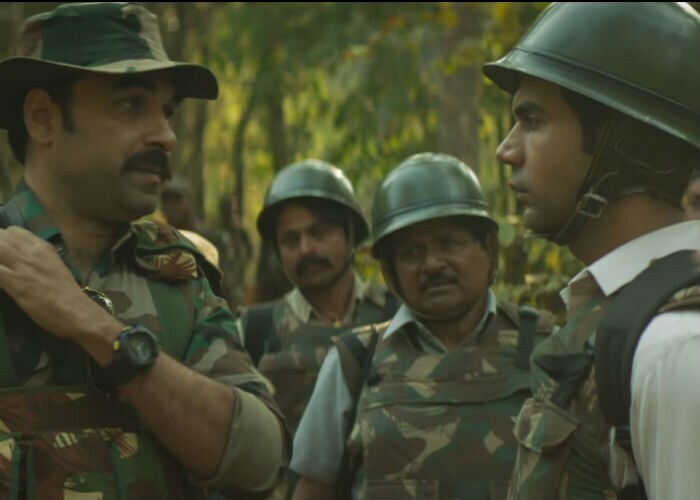 He is inevitably sucked into an adversarial contest with paramilitary commander Atma Singh (Pankaj Tripathi). While Newton is determined to ensure free and fair polling come what may, all that Atma Singh is keen on is getting out of the place with his men before darkness descends. Newton's team has two other members - 59-year-old government clerk and part-time Hindi writer Loknath (Raghuvir Yadav) and local schoolteacher Malko Netam (Anjali Patil). The former has seen it all and has reason to be disillusioned with the way life has panned out for him. The latter, a feisty and clear-headed tribal girl, is an object of suspicion for the man in uniform detailed to provide security to the polling officers. In the course of a conversation, one character asks Malko: "Are you nirashavadi (pessimistic)?" Her reply is prompt and loaded: "I am Adivasi". Hers is the voice that reminds the audience of what is amiss in this part of the world - indiscriminate mining, exploitation of forest land, rampant insurgency, and a clunky political system that changes nothing on the ground no matter how many elections are conducted. Newton raises serious and weighty questions about the distortions that have crept into India's much-vaunted democratic processes, but it never succumbs to the temptation to embrace agitprop methods. It doesn't call for revolution; it seeks resolution. The film is always light on its feet, aided doubtless by a bunch of fine actors, and intersperses its little manic sprints with pensive pauses that open up space for introspection. 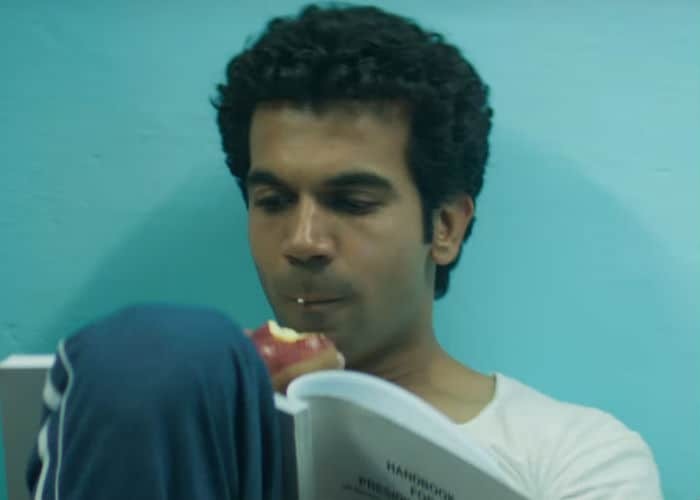 Newton is Rajkummar Rao's film all the way. He is perfect as the eponymous Everyman who lets no doubt get in the way of his mission. The actor stamps his class both on the role and the tale. 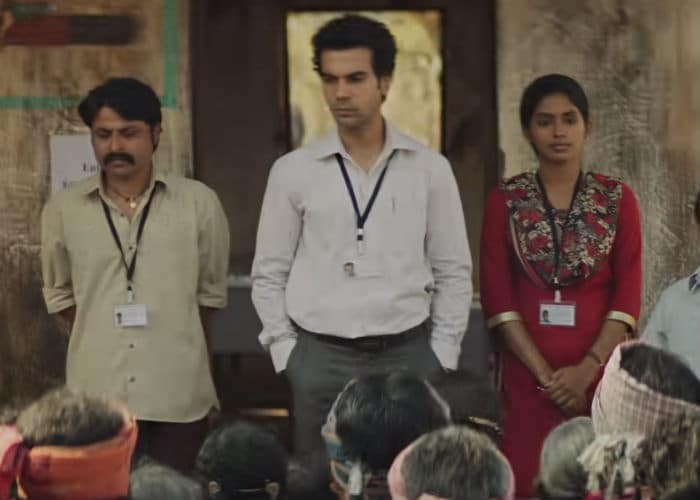 Newton also benefits immensely from the fabulous supporting cast led by the irrepressible Pankaj Tripathi. The brooding paterfamilias of Gurgaon and the jovial dad of Bareilly Ki Barfi transforms into a manipulative and mercurial security official with minimum apparent effort. Tripathi is a marvel. No less commendable are the contributions of the seasoned Raghuvir Yadav, who articulates the despair of a defeated man with the slightest of modulations, and the superb Anjali Patil, completely convincing as a woman whose understanding of the landscape and its people is far deeper than anyone else's. Sanjay Mishra, in a cameo as a sceptical election trainer who serves as the protagonist's sounding board, is utterly delightful. His fleeting appearance leaves as indelible an impact as the film does as a whole. Newton is, in one word, unmissable. It is only rarely that wit and wisdom come together in a Hindi film as felicitously as it does here.